Flywheel is a WordPress-only hosting provider that focuses all of its resources on perfecting managed WordPress services in order to give its community of hosting consumers a great experience like no other. What they do, they do best. Flywheel is getting popular among developers, designers and agencies who understand the significance of a laser-focused service and want to build a strong yet beautiful online presence. With rock-solid hosting and a stack of powerful tools, Flywheel offers more than just a fancy interface. With Flywheel, each customer gets a dedicated virtual private server, which means undivided resources and utmost site stability. Flywheel has been in the business since 2012 and has managed to double its staff in the first 4 years. Hosting consumers who want their WordPress site up and running without a glitch can repose their trust in Flywheel. With managed WordPress hosting and real-time customer support, there’s a lot less to worry about, and you can shift your focus to what you do best. Once you sign up, let Flywheel take care of everything that follows. In today’s digitally powered world, losing data means losing money with the only difference that you can afford to lose money. With nightly backups and restore features, Flywheel makes sure you never lose even a byte of data or bear unnecessary downtime. They will take full back-up of your website at night when the traffic is low and you are fast asleep. Talking of user interface, Flywheel allows you to manage everything from the dashboard, which is simple and intuitive. You can make changes to your live site and never have to worry about losing traffic. Flywheel offers ‘Individual’ and ‘Bulk’ hosting plans to give customers a choice according to their pocket and preference. Individual hosting starts at $15 per month that offers resources for a single website while on the other hand, bulk hosting hosts up to 10 websites at a discounted price of $100 per month. 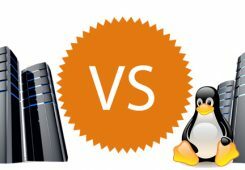 Both types of hosting come with a free SSL certificate and CDN at an additional $10 per month. Flywheel guarantees a 99.9% uptime on their servers, so you can rest assured of a stable and seamless website experience. Each customer of Flywheel gets access to a virtual private server with dedicated resources which is what sets Flywheel apart from their competition. The terms of service guarantee 100% service, excluding maintenance, required repairs, and unforeseeable outages beyond Flywheel’s control. As mentioned in the previous section, a 99.9% uptime comes as a standard guarantee with Flywheel. With dedicated resources allocated to each customer, Flywheel has proven it is capable of keeping such promises, if you ignore maintenance and required repairs. However, when you visit their website, you may not find the 99.9% uptime guarantee mentioned in any of the plan descriptions. While majority of Flywheel servers are located in New York, they have data centres spread across several major cities of the World. With data centres set up in North America, Europe, and Asia, the websites can be hosted anywhere with a special request from the client. The hi-tech server rooms are something straight out of a sci-fi film, and offer seamless uptime. The security and protection services provided by Flywheel are truly state-of-the-art. While all website get SSL certificates as standard, the basic security is provided at the server level. Meaning, website owners need no additional security, and any detected threats are removed at the server level by Flywheel engineers. Additionally, there is also an IP blocking service, along with nightly backups that are stored for 30 days, which is enough to give any website owner absolute peace of mind. While Flywheel does offer the ability to use Cloudflare with your website, it does not come as a standard add-on, and you will be expected to pay Cloudflare if you want to use their premium features. Moreover, Flywheel warns that using Cloudflare with their service may cause problems. If you wish to use Flywheel’s CDN, it can be added to your existing package for $10/month. There is no mention of hotlink protection on the Flywheel website. Free SSL certificates provided by Let’s Encrypt can be easily installed on your website through the Flywheel interface. Unlike other hosting services, the Simple SSL offered by Flywheel is great for websites that contain sensitive information such as credit cards details and other customer information. Free SSH access is a standard feature with the Flywheel hosting service. The feature enables website owners the ability to gain root access to other users without ever mentioning their log-in details. Two-factor authentication prompts users to complete two steps to be able to access their accounts. This is usually in form of a security question that appears after entering the correct password. While two-factor authentication is not a standard feature with Flywheel, it offers the ability to add the same through a plugin like Google 2 Factor Authentication. Flywheel hosting service comes with a ton of free features that may otherwise be paid additions to other hosting services. The best of these being the managed security feature, where the security of your website is monitored at the server level, and malwares removal is done at no additional charge. However, unlike many other competitive counterparts, the Content Delivery Network feature is available at an extra $10. That being said, the technology being used by Flywheel is cutting edge, and ensure above industry average speed and security for their clients. With custom tools available for website development, the job becomes easier and usually requires no technical knowledge. Since Flywheel is a WordPress-only hosting service, it is extremely beginner friendly. Aimed at serving informed beginners in the World of internet, Flywheel offers everything a beginner would expect from their hosting provider- easy to use interface, cheap plans, a ton of features, and managed security. Installing plugins and adding features requires no technical knowledge, and Flywheel always ensures the website load speed is not compromised. The Flywheel backup and restore process is designed to give their clients complete peace of mind. For all websites, backups happen every night, and a backup history of 30 days is stored with Flywheel at all times. That means, you can recover data from up to 30 days in the past. Restoring back ups is again, extremely user-friendly, and virtually takes only a couple of clicks. Flywheel offers separate hosting options for freelancers, agencies, high traffic websites, and enterprise teams. For each type of client, they offer upto three plans, that are perfect for different kind of customer needs. As one chooses a more expensive plan, they obviously get access to a host of freebies that make using Flywheel an absolute joy. The best part is, website transfers are absolutely free, regardless of the plan you choose. As mentioned earlier, most necessary integrations come as a standard feature with most Flywheel hosting plans. For ecommerce websites, there is the option of PayPal integration as well. With the exception of a few extensions available for extra charge in the most basic plans, Flywheel does not disappoint when it comes to integrations and extensions. Unlike many of its competitors, Flywheel does not charge anything for migrating websites to their servers. This features is boldly advertised on their website as it’s a great saving, with some hosting services charging as much as $150 for each website transferred to their servers. Like most other hosting services, Flywheel understands the importance of scalable solutions in the digital landscape. For this reason, upgrading to a more feature-loaded plan is not just free of charge, it’s also effortless, and the task can be completed by the clients without any expert help. Flywheel does not offer unlimited disk space. However, except that one small feature, everything else, including plenty of bandwidth and some great transfer capabilities. Combined with the promise of 99.99% uptime, it makes Flywheel one extremely competitive option when it comes to choosing hosting services. While Flywheel does not use SSD storage or load balancing technology, their NGNIX server technology still drives competitive performance, and in many cases, is able to outperform their Apache counterparts. As mentioned earlier Flywheel employs a NGNIX web server as a part of the company’s stack. The server acts as a reverse proxy for PHP processes and serves static files with lightning speed. Moreover, the caching server is tailor made for WordPress websites, which eliminates the need for external caching plugins. Flywheel offers 24/7 emergency support, coupled with standard support, available only on weekdays. The Flywheel support team follows a ticketing system, and is available through email, chat, and phone. The Flywheel website is also filled with ebooks and a comprehensive FAQ section that helps users make the most of their service. The Flywheel website consists of a detailed FAQ section with search feature, that mostly answers all major queries a customer may have. Apart from this, the Flywheel website also offers a number of free ebooks that customers can use to make the most of their hosting services. Flywheel chat support is available 24/7, as of 2017. The Flywheel executives are prompt and precise with their replies, and try to solve customer issues as quickly as they can. The Flywheel phone support team is an absolute delight, and is available 24/7. In 2016 alone, the customer service team at Flywheel helped solve over a 100,000 customer queries and grievances. The ticketed email system at Flywheel further goes to show how seriously they take their customer service. Most queries are solved within a span of 24 hours, and email replies are, in most cases, instant. Moreover, the Flywheel team does not beat around the bush and believes in offering straightforward solutions laid out in an easy to understand language. Flywheel has recently launched its user forum. While its a great move, since the forum is in the beginning stages, it hasn’t yet been populated with information. That being said, the Flywheel FAQ section is more than capable of answering all common queries that a consumer may have. Flywheel values their consumers, and the same is evident through their refund policy. Monthly customers have the option of applying for a refund within 72 hours of making a purchase. On the other hand, customers that pay annually have the option of trying out Flywheel’s services for up to 30 days before applying for a refund. Flywheel offers competitive pricing on their services. However, unlike much of their competition, there is no discount available for first time users, making Flywheel an expensive option to start out with. However, with the quality of service, they more than make up for the extra cost of their services. For enterprise level subscriptions, Flywheel also offers custom pricing which is available on request. Since Flywheel offers their services on a monthly and a yearly basis, free trial periods vary. For customers that choose to pay a monthly recurring cost, the free trial window is relatively smaller, that is, 72 hours. Post this, there is no option of claiming a refund. Similarly, for yearly subscription customers, the trial period lasts for 30 days, during which, they are eligible for a full refund if they are not satisfied with Flywheel’s services. Since there are usually no discounts available in the beginning, the set renewal rates don’t surprise existing customers. 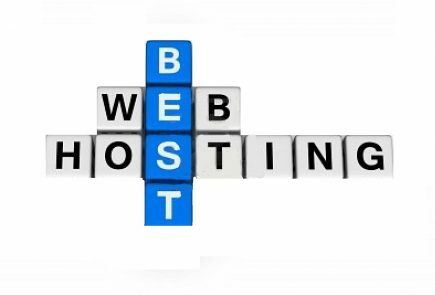 In fact, if you have been using another hosting service, and have switched to Flywheel, you can continue getting quality hosting for a competitive price. Flywheel hosting services come with a plethora of loaded features that eliminate the need for additional plugins. While server level malware protection is free with all plans, certain services such as access to a CDN are only available in the more expensive plans. That being said, these services can be added to any plan by paying an extra $10/month for each additional service. This ultimately makes opting for the more expensive plans a better deal. The money back guarantee for Flywheel hosting services is only applicable for the trial period. For monthly customers, the trial period exists for 72 hours after making the purchase. For customers that pay an annual fee, the trial period exists for 30 days after making a purchase. As mentioned in the beginning, Flywheel only hosts WordPress websites, and offers dedicated hosting to all their customers. However, they have segregated their plans for individual freelancers (single sites), enterprises (enterprise sites) and agencies (multiple sites). For each level, they offer three plans to suit the needs of clients of different sizes. Top of the shelf customer service, lightning fast load times, and free website migration is a standard set of services that comes will all plans. The single site plans are great for beginners, and are also pocket friendly, which makes up for the fact that Flywheel rarely gives out any discounts. As you can see, opting for an yearly billing cycle helps you save more and more money as you scale your website to your growing needs. These plans are perfect for blog owners and small business owners that target a small niche. The many sites plans are meant for freelance digital marketing consultants and agencies. For professionals that are helping their clients build a robust online presence, these plans can prove to be extremely cost effective, and not to forget, among the “many sites” you can host with this plan, it also covers the cost of hosting your own website. As you can see, apart from the two “freelance” and “agency” options, Flywheel also offers a third, “custom” option that can be customised to the fluctuating needs of bigger agencies. However, even the other two plans are great for freelancers and agencies that are just starting out, and only have a few clients to keep themselves busy. With easy scalability processes, it is easy for Flywheel customers to switch to better plans at any time. For enterprise plans, the service is designed keeping those clients in mind, that have an extensive marketing team working behind their online presence. For this reason, this plan has no variants, and only a customising option is available. The enterprise plans are dedicated plans, and the costing, along with the included features are all tailor made to suit the client’s need. 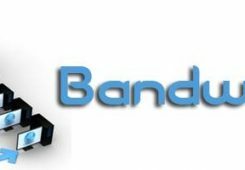 While this has inhibited us from providing a review for the same, a completely tailor made plan can prove to be the gold-standard for hosting services. 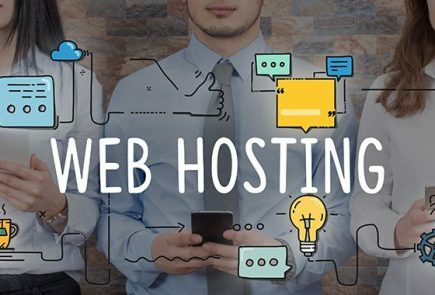 With only a few other hosting services providing anything similar, the customisable options available with Flywheel truly set them apart, and possibly make them better than most of their competition. Maybe that is the reason that Flywheel is the preferred hosting provider for over 70,000 agencies and creative professionals. In 2016, the Flywheel customer service team was responsible for solving over 100,000 registered customer queries, and also migrated well over 6,000 websites to their servers. This means, Flywheel offers a tailor made service suited to the needs of their individual clients, ensures top of the class load times for all websites they host. Moreover, they offer World-class customer support, that is available 24/7, 365 days a year, making them one of the most competitive options when it comes to choosing a hosting service, regardless of whether you are an agency, a freelancer, an enterprise, or the owner of a small niche blog. Local by Flywheel is the website builder tool offered by Flywheel. Apart from being a drag and drop website builder, Local has a special feature, which is extremely advantageous for agencies and freelancers. 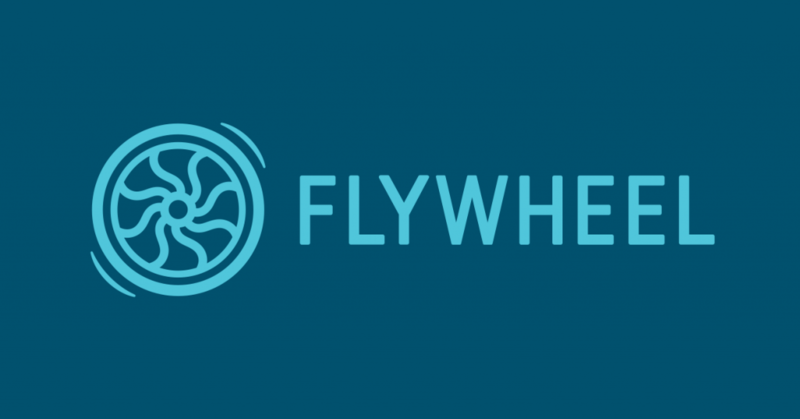 Local by Flywheel lets users create a website almost instantly, and then provides them with a demo URL that they can share with their respective clients. This way, a locally hosted site can be modified to suit the client feedback, without having to pay for hosting. Local is one of the fastest and most user friendly WordPress development applications out there, and their partnership with Flywheel takes their user friendly technology to the next level. Not only can you create a website instantly, but also offers hassle free local SSL support, simply root SSH access, and extremely flexible environment options. Apart from being a great website holding platform, Flywheel prides itself with the high volume of actionable resources available on their website. One such resource is the web design trends course that is available for free. The course talks about the eight most influential design courses of 2018, and also includes Photoshop files and tutorial that help users replicate the designs for their own web pages. Even if you don’t choose Flywheel as your hosting provider, we strongly suggest signing up for the course. It’s a free resource that tackles in-depth design trend insights that enable marketers and webmasters to create designs that communicate with their audiences, without promoting Flywheel’s core services. In order to help their clients make the most of their web presence, Flywheel also offers a collection of ebooks. This collection covers a variety of topics related to web design, hosting, and client handling. The collection of over 40 ebooks is a great knowledge resource for web developers and marketers alike, and is available for free, regardless of whether you opt for Flywheel’s hosting services or not. From guides on how to attract more clients to improving website speed and advantages of managed hosting, these ebooks cover a variety of topics, which can help users fortify their online presence, while giving their revenue streams a great boost. Flywheel makes the life of WordPress users simple and fast forward with its exclusive hosting services. With Flywheel, you will get better speed and a full stack of features to keep you ahead of competitors. In a world where WordPress rules the roost, a managed WordPress hosting service can help you shine. Because their infrastructure is wholly optimized for WordPress sites, their service quality is hard to beat. However, lack of 24/7 customer support doesn’t go down well with WordPress aficionados across the board. If all you want is the highest level of performance for your WordPress site and can pretty much go without round-the-clock customer support, Flywheel is a God Send for you. Q1. Do I get unlimited disk space and bandwidth with Flywheel? Ans: No, the bandwidth and disk spaces availability varies with the kind of plan you go for. Q2. Is there a site transfer fee if I transfer my existing website to Flywheel? Ans: Unlike so many of their competitors, Flywheel does not charge anything for website migrations, and advertises the same as an advantage of using their services. Q3. Do I get SSL certificate with Flywheel? Ans: Yes, free SSL certificate is a standard offering with all Flywheel plans. Q4. Do I get any kind of security with Flywheel hosting service? Ans: Yes, Flywheel offers a comprehensive server level security system to all their customers. With constant monitoring done by Flywheel’s engineers, Flywheel customers don’t need any additional security plugins. In fact, all malwares are detected and removed at server level, free of cost, regardless of the plan a customer has chosen. Q5. Is there a money back guarantee with Flywheel hosting plans? Ans: Yes, for monthly paying customers, the money back period (or the trial period) is 72 hours from the time of purchase. Similarly, yearly paying customers are eligible for a 100% refund up to 30 days after purchasing Flywheel hosting services. Q6. Does Flywheel offer a CDN network? Ans: While Flywheel does offer CDN network services to their hosting customers, the service only comes free with some of their more expensive plans. If you choose a more basic plan, the CDN service is still available, but it is charged at $10/month. Q7. How do I contact Flywheel support? Ans: Flywheel support team is one of the best in business, and can be contacted through live chat, phone, or through email, 24/7, throughout the year. Q8. Does Flywheel offer a reseller program? Ans: Yes, Flywheel does offer a reseller program with a top of benefits. Apart from offering specific percentages of the plans you resell, Flywheel offers free hosting of your website, gives exclusive access to their newest features, and also sends a goodie bag to each reseller. Q9. How many email accounts do I get with Flywheel? Ans: Flywheel does not offer free email accounts with their hosting service. However, one website email address can be configured, but that comes with a limit on how many emails you can send every month. For the cheapest plans, the number is as low as 2,000. However, lack of 24/7 customer support doesn't go down well with WordPress aficionados across the board. If all you want is the highest level of performance for your WordPress site and can pretty much go without round-the-clock customer support, Flywheel is a God Send for you.